Online courses are an extremely popular way of learning. I don't know about you, but each month I'm investing in online courses and training to increase my skills and knowledge. I'm currently learning sport's massage, and flower arranging. Any business owner can create and run an online course to extend their reach, build their audience, share their expertise with the world, turn a nice profit and create an ongoing revenue stream. However, it's not as simple as deciding to create an online course, publish it and money pours in from the internet (if only it did!). Here are three almost lethal mistakes that business owners (including myself) often make when they create their first online course, or in my case from creating 50+ online courses! You may have a great deal of knowledge in a particular area that you can teach others. You might think you know exactly what kind of online course your audience will love. But it's a huge, time-wasting mistake to create the course you want rather than the course your audience needs. Research is essential. What problems are they struggling with? Once you have some ideas, consider how you can help them. Try to match your audience's needs to your skills and expertise. For example, you may find out through surveys that your email subscribers want to know more about using LinkedIn. You can take your knowledge and experience with LinkedIn and create a course that teaches them how to set up a profile and use it effectively. You can also create an upsell course on more advanced LinkedIn strategies for those buyers who want more, or deliver the upsell training Live, so you don't have to create the course if you don't sell it. The beauty of this method with your upsell course is once it's delivered Live, you have the recordings ready to sell in the future. But if there's no demand? Then you don't need to create it! Naturally, you have a great deal of knowledge you want to share with your course participants. It also makes perfect sense that a longer course is perhaps considered more valuable. The problem is that if your course is too long, it will overwhelm your students. My Optimise Anything program was like a tidal wave. It had a tremendous, powerful energy that terrified the participants. With 14 modules, with umpteen videos and worksheets and checklists – it was too much. You might lose students along the way – they don't “graduate” your course – and it doesn't give them a great experience of working with you. In my mind Optimise Anything is a series of essential processes for marketing your business, a signature system but in reality, it was too much. It should've been a series of shorter courses with many graduates. Instead, I made the near fatal mistake of creating too much. The best online courses are tightly focused. They teach what they need to teach in order for students to overcome the problems they're frustrated by. Your online course should be long enough to do that and no more. The ideal length for an online course is five to seven modules. Each module should have three to five steps or small sections. Each course has its own needs structurally, though, so this is just a guideline, and if you subscribe for my online course planner you'll find it very easy to plan your course and totally avoid these issues. If you find that your course is longer than three to five modules, try breaking it down into two courses (or a series of courses). If there is a sequential relationship, you can make parts one and two. 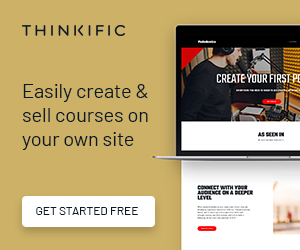 If the course is slightly too long and you feel the information is very valuable, you can remove a module and offer it as a bonus on the sales page. This option is perfect because sales page bonuses should be aligned with our main offer. How will you get your course in front of your target audience? How will you advertise it and put the word out? Which marketing channels will you use and how will you use them? This is often the area where I gain new clients – they have the course but no clue how to promote it. Some of them have never budgeted to market their course at all – they had a “Build it and they will come” mentality and arrive at my door downhearted and dejected. The good news is, after 3 sessions they have a course marketing plan that gets rapid results! If you have a topic that aligns with your target audience's interests, a tightly focused course, and a marketing plan in place, you're virtually guaranteed a successful online course.